Great service and super friendly. Highly recommend. Amazing service, we were taken care of by Raul. Great customer service . We will keep servicing the vehicle in Berman INFINITI Chicago. Highly recommend it. Ken called me to wish me a happy birthday and did a follow up on my new car purchased late last year. He also listened to my concerns about the service experience I had at a different location and advised he would relay the information. Great People to deal with your vehicle. James detailed my car and provided exceptional customer service! This is the only location I will go to. Berman INFINITI Chicago strives to give all its customers a pleasant car buying experience. We welcome all customers looking for new or used vehicles in Chicago, IL. Once you select a vehicle, we have a range of financing options at our dealership for you to select the most suitable one. 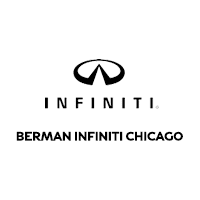 Visit us and check out why Berman INFINITI Chicago is the best place to buy or lease vehicles! You will surely get the one you are looking for.